In the spirit of ID4 celebrations coming up in the US, this weeks shot is from the fireworks show that was shot from previous years. July 4 celebrations, or pretty much any major celebrations across the world is not complete without fireworks. It is always much more fun to select fireworks of ur own choice and blast them in ur back yard or streets, like we do for Diwali in India. For those who don’t have that luxury, the only option is planned firework shows. This by the way gives an option for amazing photo opportunities. Some tips that I can think of : Scout for the location – This definitely is key. Generally you can even get the info (just Google !) on where the show would be launched from. Prior scouting could help you get some vintage view points like near by parking garages :). Look for any water bodies that could be included in the composition. The reflections are quiet nice, as always. 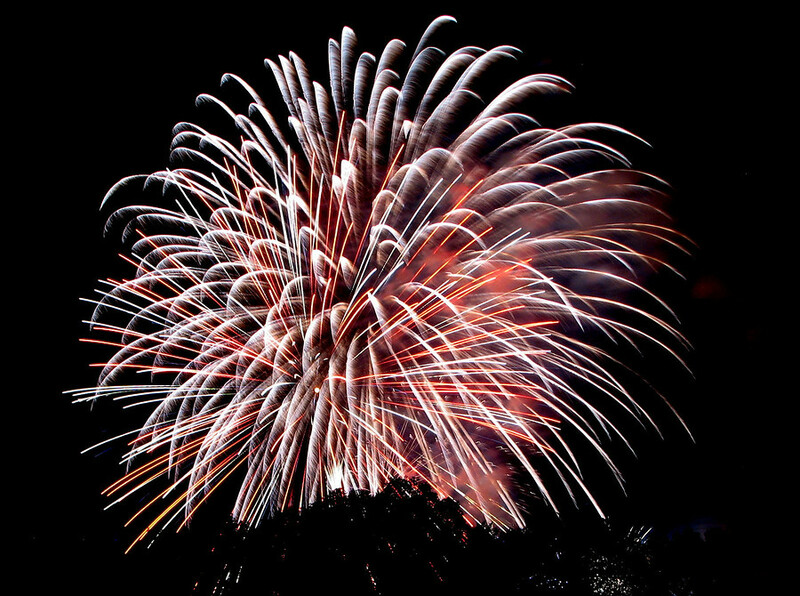 Get the tripod out – If you are shooting fireworks, you need to have a tripod. Be more comfortable with the manual focus. Be sure to use BULB, as this gives u an option to decide on the exposure time based on the size of the explosion. with BLUB it definitely goes without saying – use a remote trigger to avoid any shake. Happy firework shooting.